Looking for some August fun to top off your summer in the Capital Region? The annual Altamont Fair returns August 14-19, 2018 at the Altamont Fairgrounds! 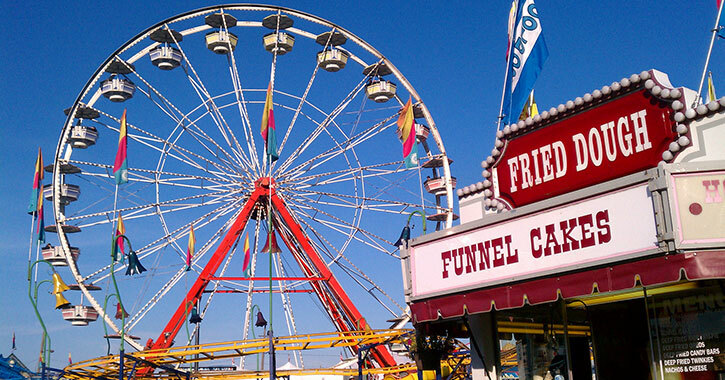 This summer tradition features family-friendly contests, animal shows and exhibits, thrilling amusement rides, live music, food vendors, and so much more. Contact Information: Call "518-861-6671," or Email "[email protected]"
Children under 36" can enter for free, no rides included. Children under 36" are not permitted on Midway rides, but there is a Kiddie Playground available. Note: Individual tickets include admission and access to attractions, parking, music, Circus Hollywood, and unlimited rides! The Altamont Fair includes six days of exciting events throughout the fairgrounds. There are a wide range of vendors to explore, games to try, and sweet & savory fair food to taste!